Jose Mourinho may have god reasons to be stone-faced as the season progresses. 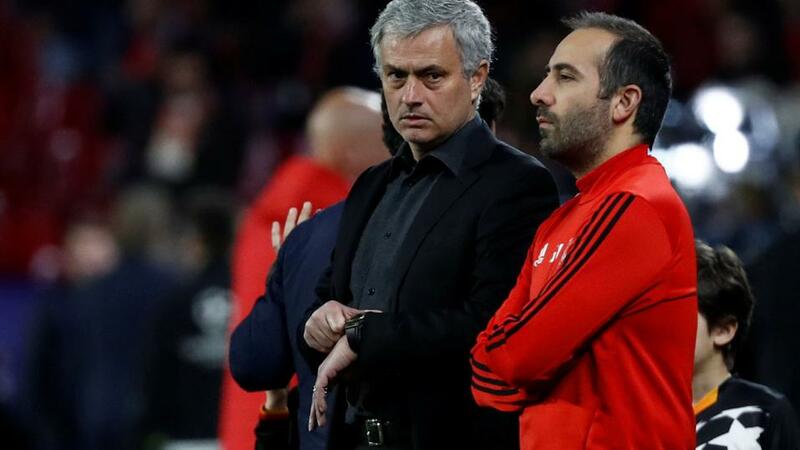 A manager still living in 2004, a star player who can't settle and a distinct lack of transfer activity are just a few reasons why Manchester United fans should be worried, says Jamie Pacheco. "Times have changed, football has changed. Manchester City won the Premier League having scored 106 goals; United scored 68. En route to the Champions League final Liverpool scored 17 goals in six matches. France scored 11 goals in their four matches after the Group Stages, including the final. If Mourinho thinks his cat-and-mouse style of football can still pay dividends in 2018/19, he has another thing coming." We're now just two weeks away from the start of the season, which by the way kicks off with Manchester United hosting Leicester on Friday August 10. United may be too good for them on the night but there are very few reasons to think this could be a successful season for Jose Mourinho. Alex Keble already had his say on United earlier this week, and here's why I am in agreement with him. Let's start with the elephant in the room. Mourinho's methods are outdated. In his mind you still play for 0-0 in a tough game away from home and are delighted if you get it. You play for 1-0 at home against just about anyone. If you're at home to Sevilla in the Champions League and it was 0-0 in the first leg you hold out for 0-0 again and hope something falls your way. It says it all about how his stock has fallen that despite going out against Sevilla in the Last 16 when red-hot favourites to progress he pointed out that despite that, progress had been made and it was somehow an improvement on what had happened in previous years. Times have changed, football has changed. Manchester City won the Premier League having scored 106 goals; United scored 68. En route to the Champions League final Liverpool scored 17 goals in six matches. France scored 11 goals in their four matches after the Group Stages, including the final. If Mourinho thinks his cat-and-mouse style of football can still pay dividends in 2018/19, he has another thing coming. United may yet sign a big-name player before the transfer window closes. But they're running out of time to do so. Diogo Dalot was much-needed. Not because Antonio Valencia and Timothy Fosu-Mensah aren't capable right-backs but because it's a long old season and fresh blood is always necessary. Fred should be a useful addition, too. Although without generalising too much, Brazilian midfielders have been a bit hit-and-miss in the Premier League over the years. For every Juninho and Willian, there's a Kleberson and an Anderson. If Mourinho had a history of turning young talent into world class players, Arsene Wenger or Pep Guardiola-style, then ok. This could be the season where the likes of Marcus Rashford, Jesse Lingard and Anthony Martial (still only 22) become guaranteed starters and key figures in the dressing room. But Mourinho's record at doing just that suggests it's unlikely. At the moment United are at a crossroads. You feel Mourinho won't trust these youngsters in the big games while the big names aren't signing on the dotted line. At what stage do you decide that Paul Pogba's fairytale return to Old Trafford has become a nightmare and everyone cuts their losses? Pogba is too talented a player to be the lost soul in United's midfielder wondering whether to stick or twist. He may decide he needs to move to get the best out of himself in his peak years. As far as United are concerned, two more years of Pogba's below-par performances and they're looking at getting nothing for him as he leaves on a free or they get a nominal amount for him. This is meant to be the season where it all falls into place for him. But so was last season. Whether it's the manager, the system, the club, the team-mates or something else, it's just not happening for him. Considering he's the player they're building the team around, that could spell disaster for United. It was one of the hallmarks of Sir Alex Ferguson's reign that United always got more points than anyone else during the Festive season. And having done that, they kicked on with confidence high, momentum and that winning habit in their bloodstreams. Not so last year. A disastrous 10 days between December 10-20 saw them crash out of the League Cup at Bristol City and draw three straight Premier League games, two of them at home. Things could be very different this time round but as has been the ongoing theme here, then again they might not. The Top 2 market on the Exchange is an illiquid one but if you can lay Mourinho's men at around [2.5] don't hesitate. An alternative is to side with the well-fancied Liverpool who have strengthened an already impressive squad and could yet improve this season. The 5/2 that they finish second to Manchester City is certainly worth a look.